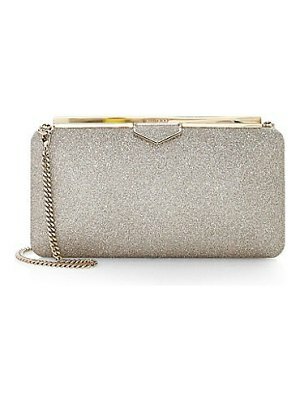 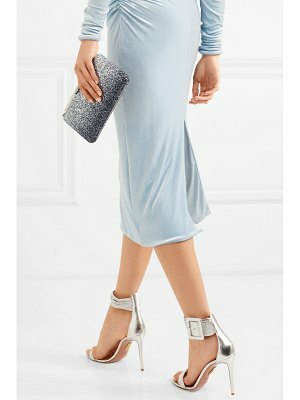 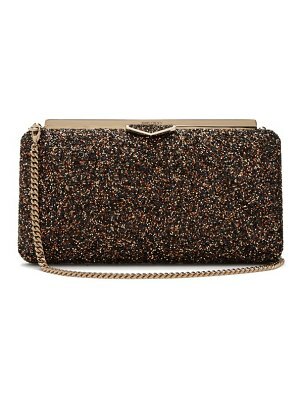 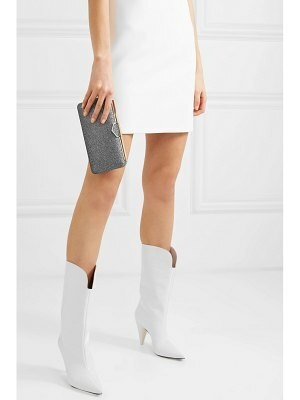 Jimmy Choo - Complement striking eveningwear ensembles with Jimmy Choo's shiny silver Ellipse clutch. 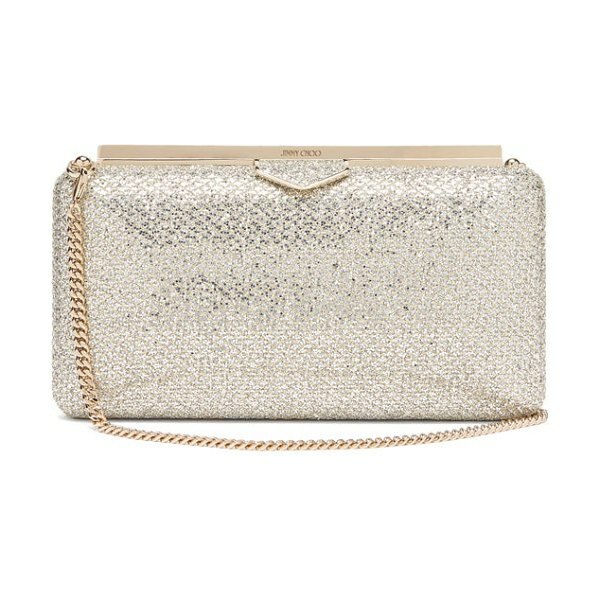 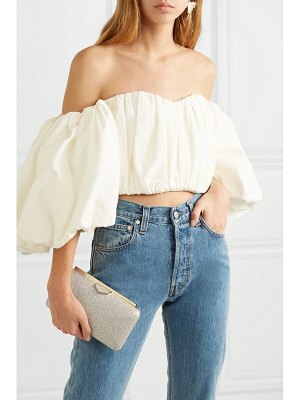 It's made in Italy with a resin case finished with glittered tulle and pale gold-tone metal hardware, then opens via a small tab to reveal a clean leather interior. 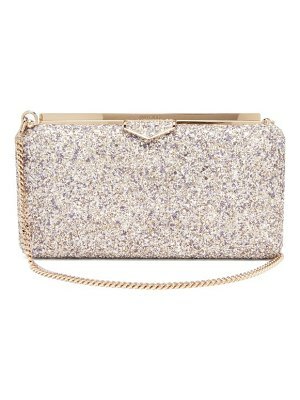 Detach the chain strap and pair it with a feminine dress for a smart event.